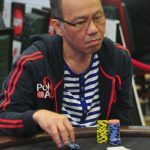 Paul Phua isn’t off the hook just yet. Federal prosecutors in Nevada are asking US District Judge Andrew Gordon to reconsider Magistrate Judge Peggy Leen’s conclusion to prohibit evidence obtained through questionable FBI tactics last July. On suspicion that Phua was operating an illegal sports betting ring, agents shut off the Internet to his Las Vegas Caesars Palace villas before posing as computer repairmen wearing hidden cameras. The sting resulted in the arrest of Phua, his son, and five others. Although the investigation did have a search warrant for the operation, Leen ruled earlier this month that bureau detectives failed to properly detail its covert tactics, and made “false and misleading statements” on its sworn affidavit claiming to have more probable case than they actually did to link Phua to the criminal enterprise. “A search warrant is never validated by what its execution recovers,” Leen said following her recommendation that the evidence be dismissed in the federal case against Phua. The trial is set to begin on April 13th, presided by Gordon. This week assistant US Attorneys Kimberly Frayn and Phillip Smith Jr. asked Gordon, a higher judge in Nevada’s district court than Leen, to reassess the FBI’s process. They argue sufficient evidence existed that the Phuas were involved in criminal activity, taking millions of dollars in bets on the 2014 World Cup, and that probable cause was justified. Both Frayn and Smith Jr. have previously stated that the case against Phua would be weak without the seized video evidence. The five other Chinese and Malaysian defendants who were arrested pleaded guilty in December in exchange for a fine and five years probation during which they cannot enter the US. 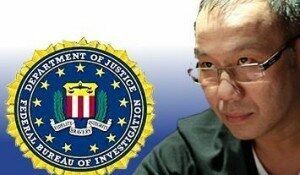 Phua and his son pled not guilty, citing unconstitutional conduct on the part of the FBI, saying their Fourth Amendment rights were violated even though the Phuas are not American citizens. Prosecutors assert the betting ring resulted in $13 million in profits, and to properly indict the Phuas the obtained evidence must be permitted. “The government’s position in this case, and the legal rule the magistrate judge suggested this court adopt, would shock the conscience of ordinary Americans. It is an assault on our deepest constitutional values that cannot be taken seriously,” Gordon said in his court filing. Leen’s findings that the FBI used deceitful measures in obtaining a search warrant, but that no Fourth Amendment rights were violated in unreasonable searches and seizures, seems to contradict itself. Judge Gordon certainly has a tall task ahead of him. With a foreign defendant, questionable police tactics, and illegal sports betting in the mix, it remains to be seen whether the resolution comes in the District Court of Nevada, or ultimately finds its way to the Supreme Court.